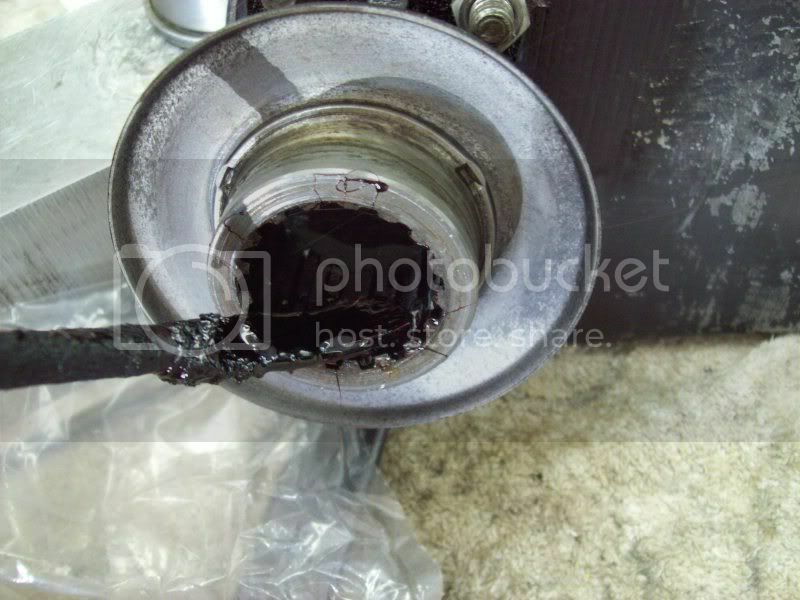 Several months ago, I posted a somewhat detailed procedure for converting the 55-64 NON-posi rears to posi by installing an Eaton posi unit. This also applies for 56-62 Vettes. The same would be applicable for installing an original style factory GM posi unit, but those are becoming so scarce and expensive, that it is much more practical and economical to just buy one of the new Eaton posi units and installe it. Once installed, no one will know if its a factory posi unit or an Eaton unit. I[m repeating this post because I made some changes to my Photobucket account and the pictures in the original post no longer appear. 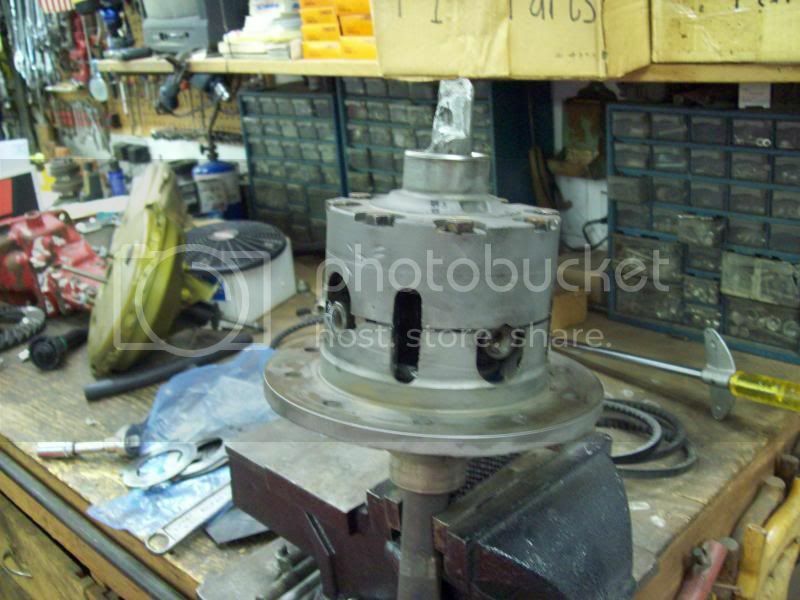 This article will be specifically directed at converting the 55-64 Chevrolet full size pass car and 56-62 Corvette NON-positraction rear end to positraction using an Eaton aftermarket posi unit. 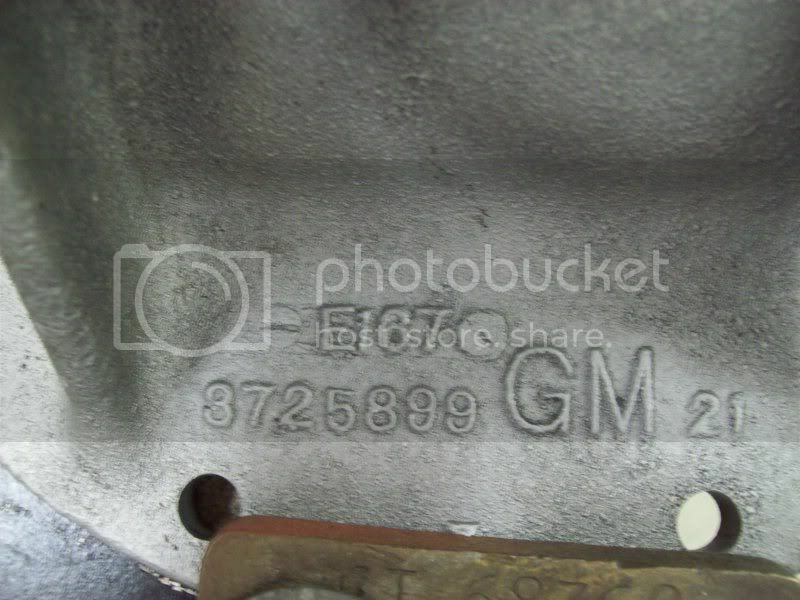 But, much of the information will be applicable to the original factory positraction units (originally made for GM by DANA). I am not going to include detailed assembly and setup procedures in this article. 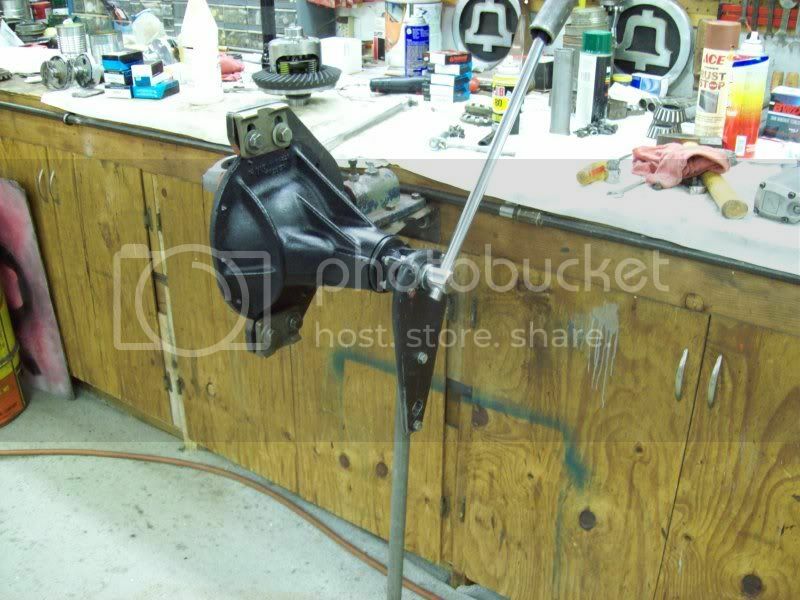 Here is a link to the factory 56 Chevrolet rearend rebuilding procedures which is applicable for 55-64 rearends and is very complete. 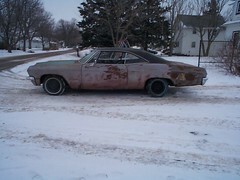 This manual was provided by courtesy of Keith Hardy and is located in the Chevytalk forum. This manual can be down loaded and printed if you wish to add it to your library. 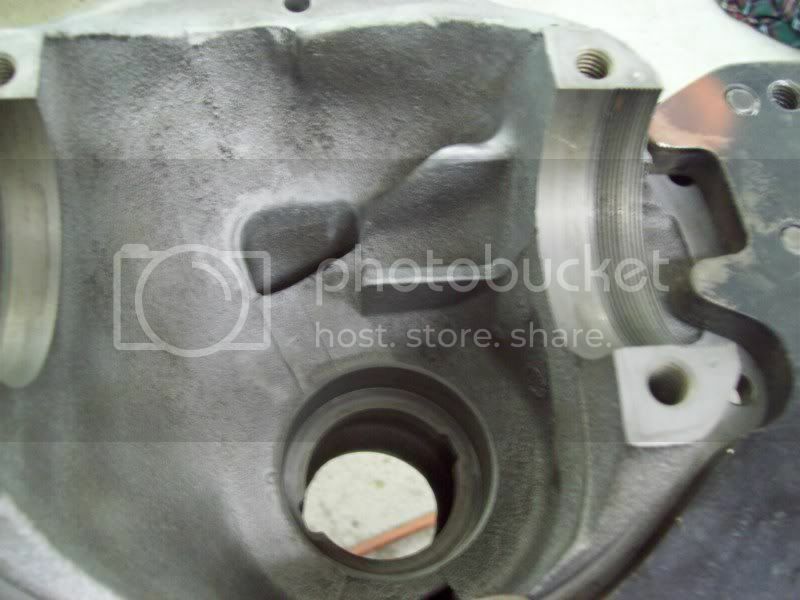 There were primarily 2 different rearend center cases between 55 and 64 along with multiple casting numbers, but the two primary differences were the 55-56 case and the 57-64 case. 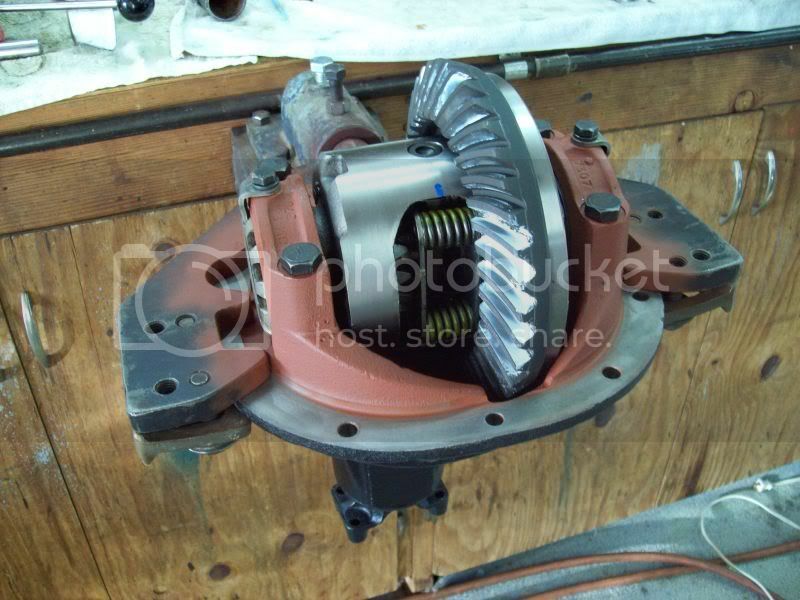 To convert the 55-56 rear to posi, it is a VERY straight forward process of installing the ring gear on the posi unit, installing the posi with ring gear in the case, set the bearing preload and backlash. 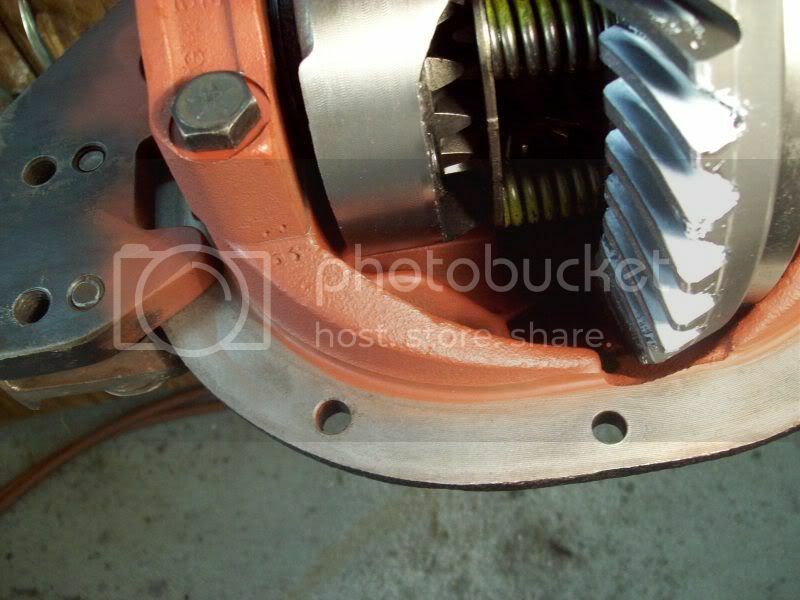 THERE IS NO NEED TO REMOVE THE PINION GEAR to convert a 55-56 rear to posi. Also, depending on the ring gear used with a posi unit in a 55-56 case (ESPECIALLY if the ring gear is an original 55-6 ring gear), it MAY be necessary to use a ring gear spacer. 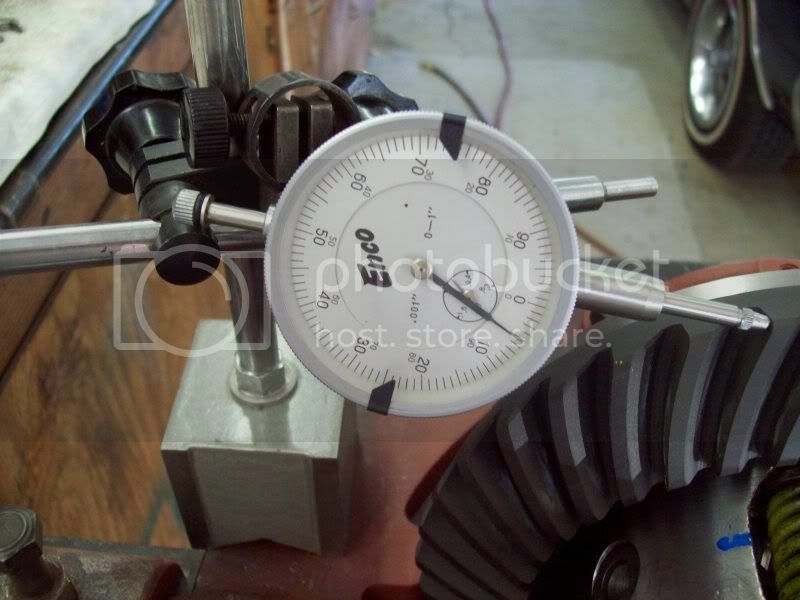 The reason is because original 55-56 ring gears are thinner than 57-64 ring gears. Ring gear spacers are readily available from the aftermarket sources. Also, for added information, the 55-56 case is not as beefy, thus, not quite as strong as the 57-64 case. The conversion that was done in this article is on a 57 center section which eventually is going into a customer’s 52 Chevy with a 57 passenger car axle housing. Here is a 55-56 style case with a posi already installed. This is a 57-64 style NON-posi rear before disassembly. As can be clearly seen, the 57-64 case has a thicker, stronger webbing for the carrier bearings. This is the non-posi case after disassembly and before cleaning. Notice the +1 which was hand painted on the assembly line during the original factory assembly process. 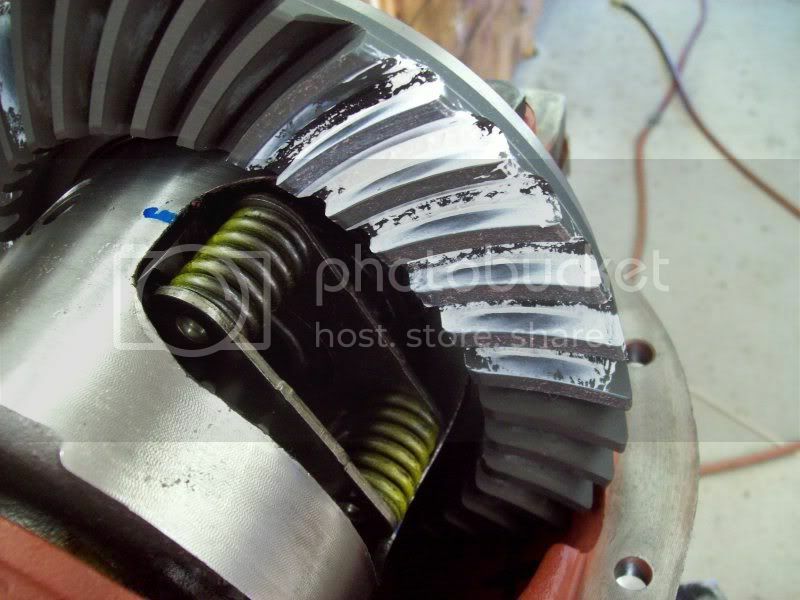 This +1 marking is related to shim thickness installation on the pinion gear. Also notice there are two protrusions that are cast inside the case. The squared off one is in all cases, both posi and non-posi. 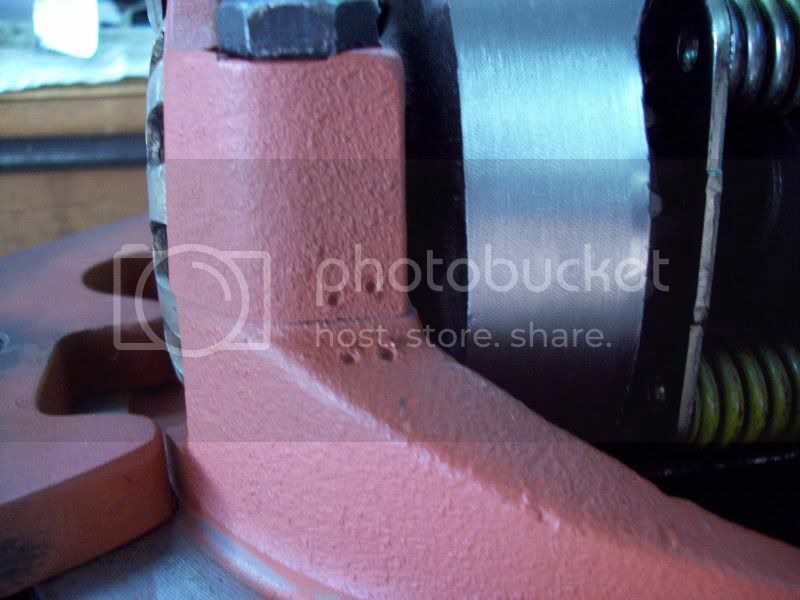 The angled protrusion, or gusset, is ONLY in the 57-64 NON-posi cases. 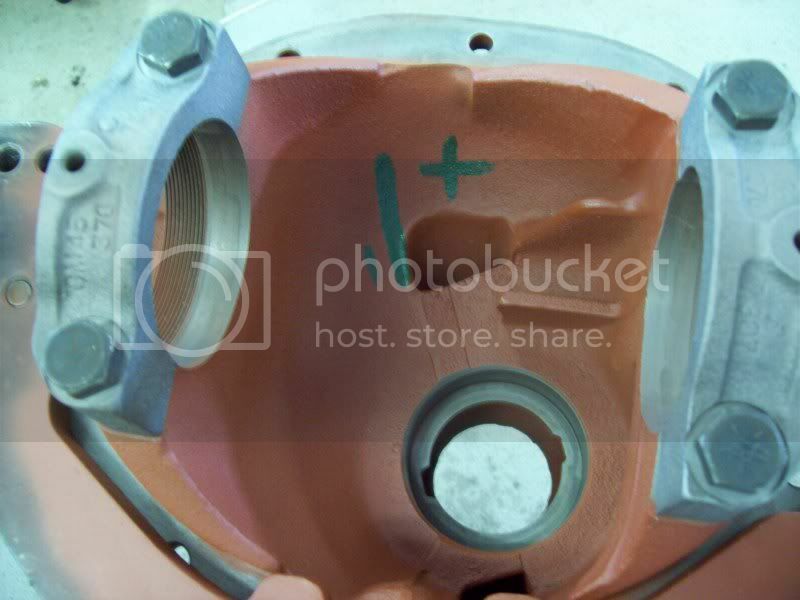 THIS IS WHERE A MODIFICATION IS REQUIRED FOR THE 57-64 NON-POSI CASE BEFORE A POSI UNIT CAN BE INSTALLED. 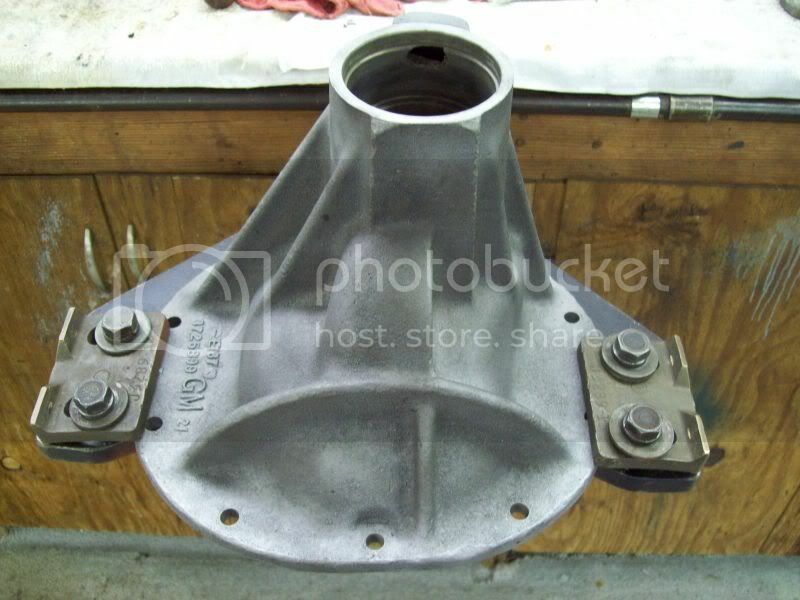 A portion of this gusset must be removed to provide clearance for the posi unit, and it does not matter if an original factory style posi is used or an aftermarket posi unit such as the Eaton is used. I use a die grinder and a thin cutoff disc to remove the major portion of the gusset. 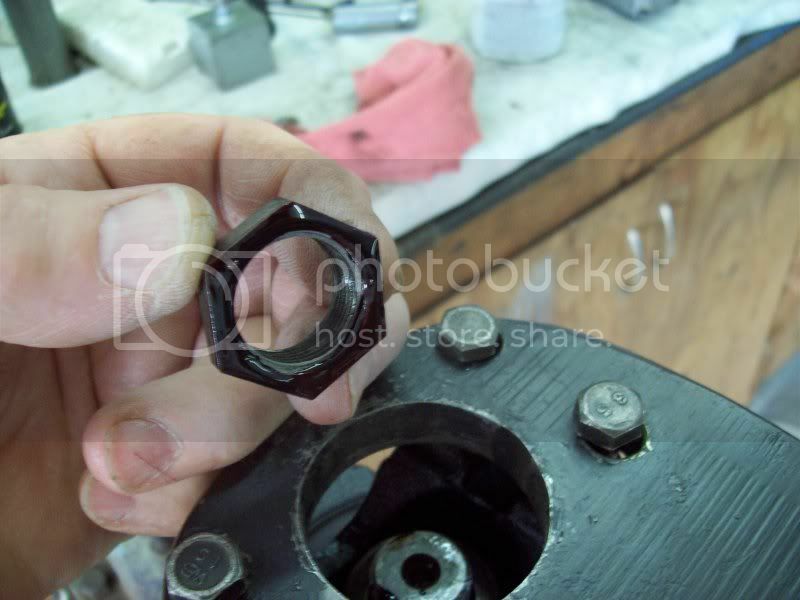 The gusset only needs to be cut off about 1 1/2in from the mating surface for the bearing cap. It is important to remove the portion of the gusset ALL THE WAY to the inner wall of the case. Here is the case after the portion of the gusset is removed. After cutting the larger portion of the gusset with a cutoff disc, I use a rotary file in the die grinder to remove the remainder of the gusset, then a small sanding disc to smooth out the grinding marks. I also smoothed out the parting lines from the casting mold. The next step is blasting the case inside and out. I concentrate blasting on the areas where the grinding was done just to make an even finish all over. This step is not necessary, but this is how I do it. 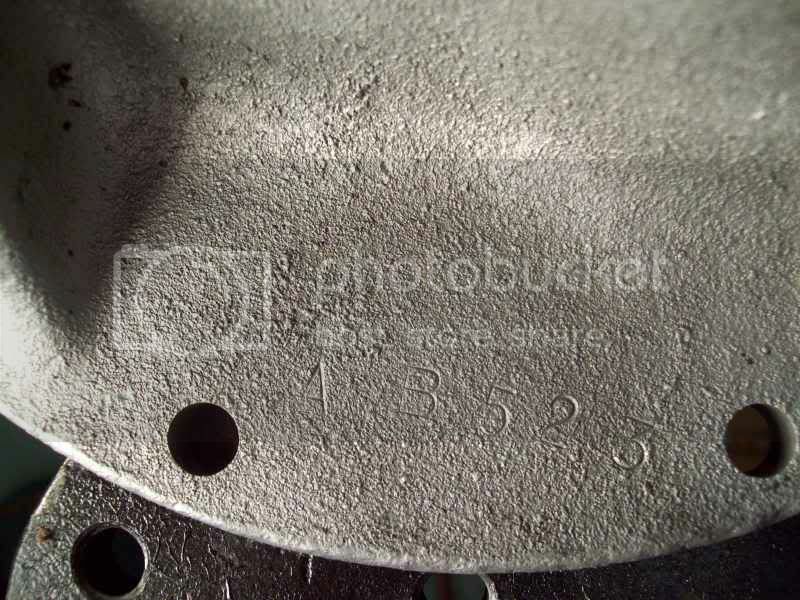 Once the case is cleaned and blasted, it is much easier to read the casting numbers and casting date on the driver side of the case and the ratio code and assembly date (AB 523-May 23) on the passenger side. 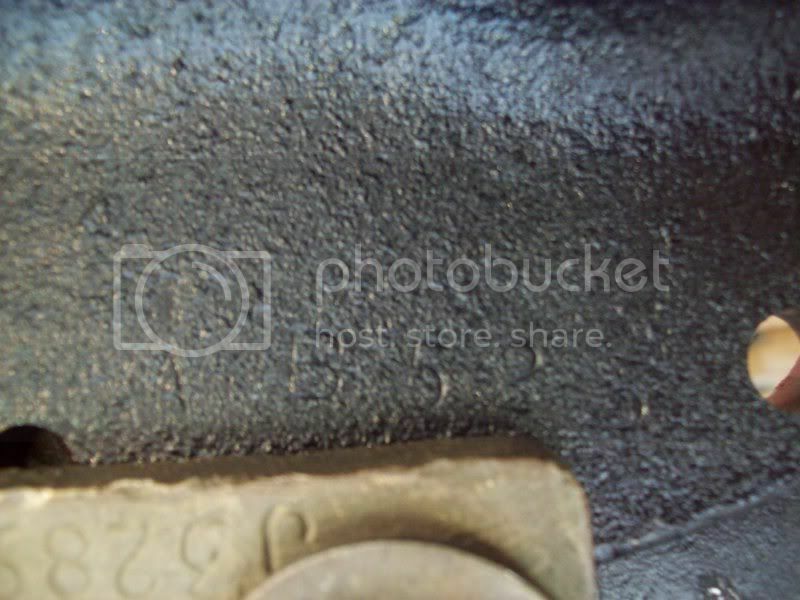 Often the stamped code and assembly date seen below is VERY difficult to find and usually requires thoroughly cleaning down to the bare cast iron. Painting is optional and your choice. Many early cases were painted a red oxide inside and outside, similar to that below. As can be seen, I hand brushed green paint to attempt to duplicate the original marking from the factory. This step is totally unnecessary because it will never be seen after installation in the axle housing, but some people like it. No extra charge! 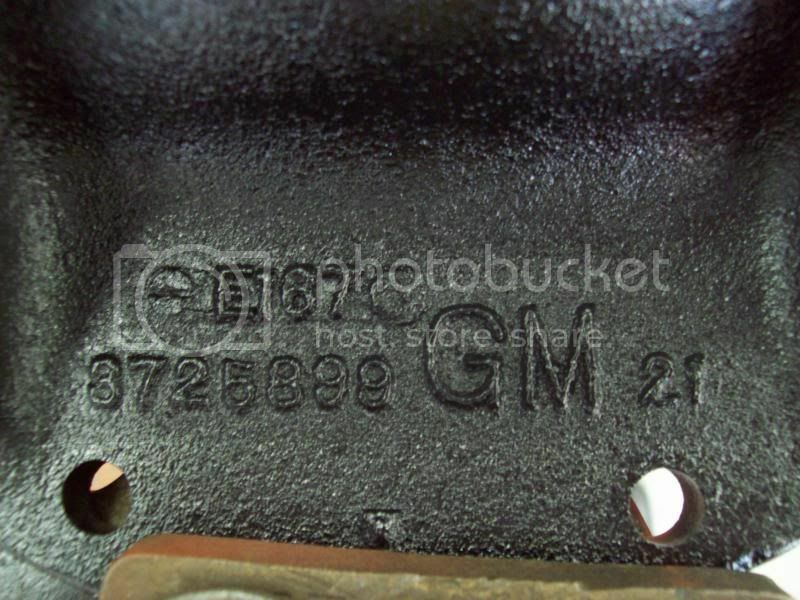 As can also be seen, once painted on the outside, the numbers and codes are not quite as easy to distinguish. Here are all the parts to go into this case. The customer wanted a brand new ring and pinion gear set. 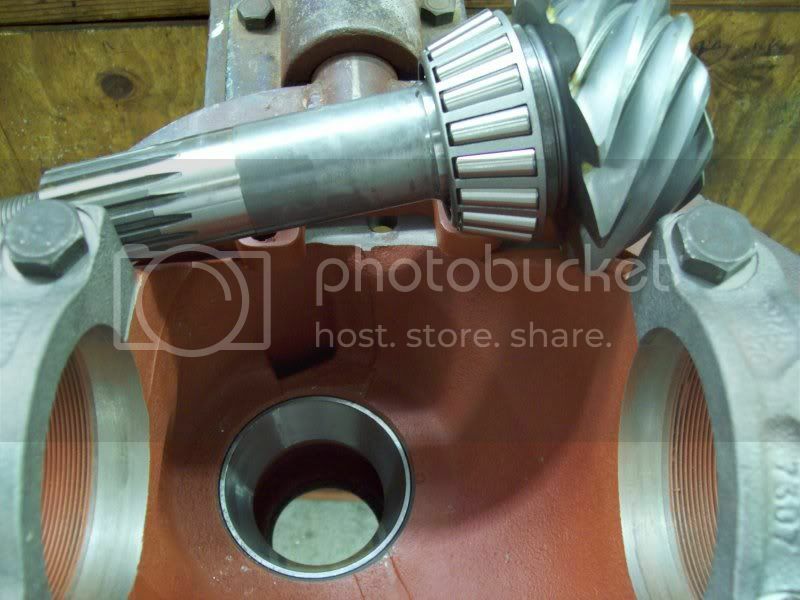 I wish to mention that if an original Chevy ring and pinion gear set in good condition is available, use it! The original Chevy gears are excellent quality and there is no reason to not re-use them. 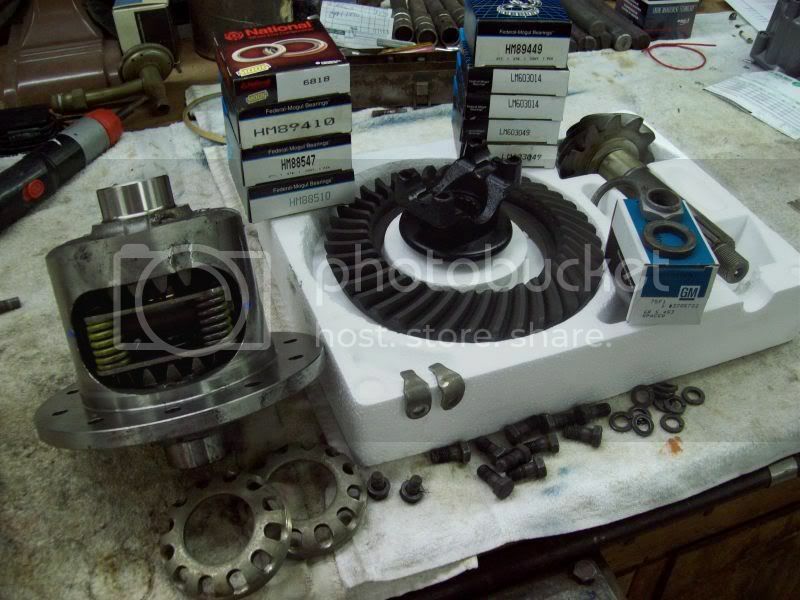 This is also the new Eaton posi unit, all new bearings, crush sleeve and pinion seal. The first thing is to drive in the new pinion races. I have taken a pair (front/rear) of old races and slightly ground down the outer diameter so that they just slip into the holes in the case. I use the old races to do final driving of the new races to the bottom of their respective holes. 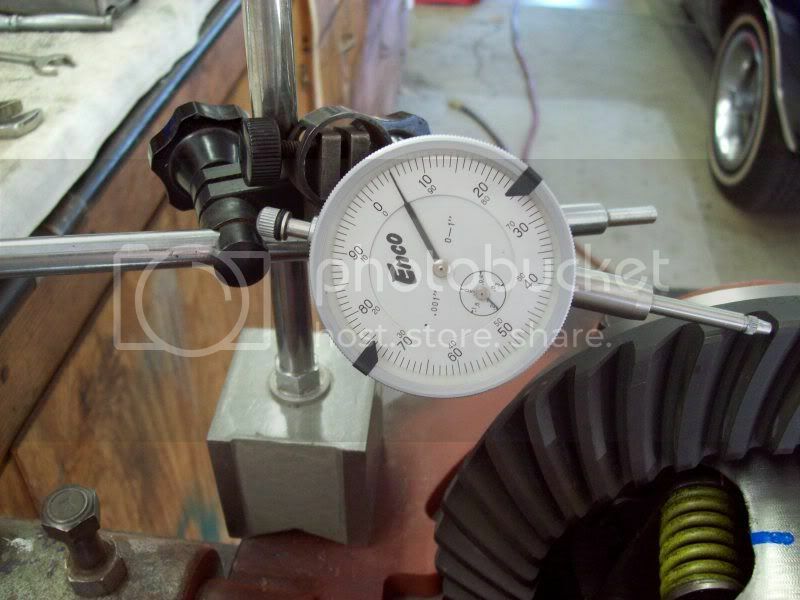 Since the gears are new, even though the new pinion is marked for pinion depth, I have quit trying to set the depth. 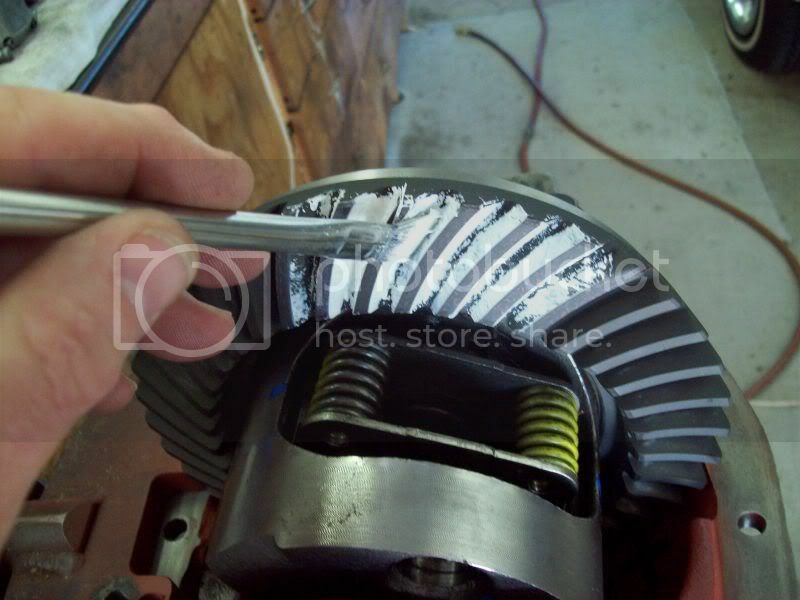 I start out selecting a pinion shim of .030in, slip it on and then press on the pinion bearing. Lightly lube the pinion bearings and slip the pinion into the case, slip on the crush sleeve------------------ NO PINION SEAL YET--------------then the front pinion bearing, the yoke, big washer and pinion nut. 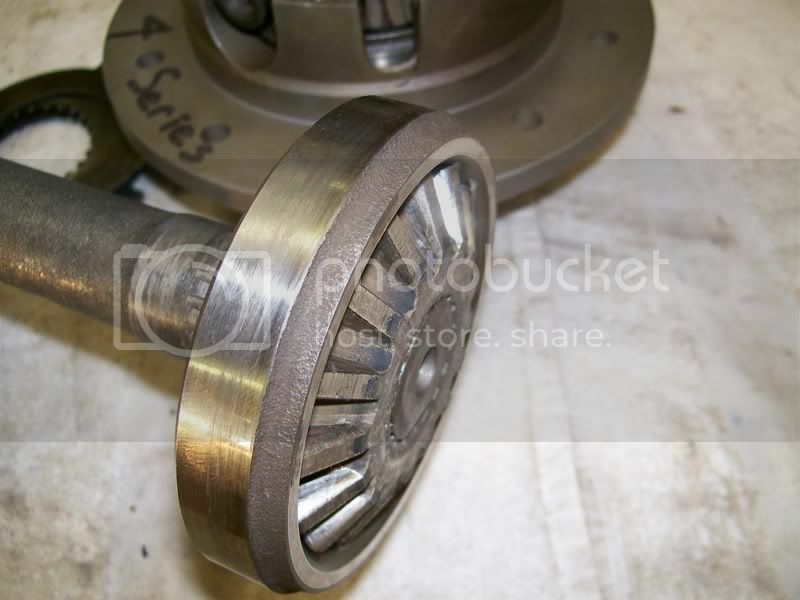 Depending on condition of the old pinion nut, you may or may not choose to re-use it. For an original pinion nut that has never been removed, I frequently re-use it (I’ll get a lot of flak over this!). 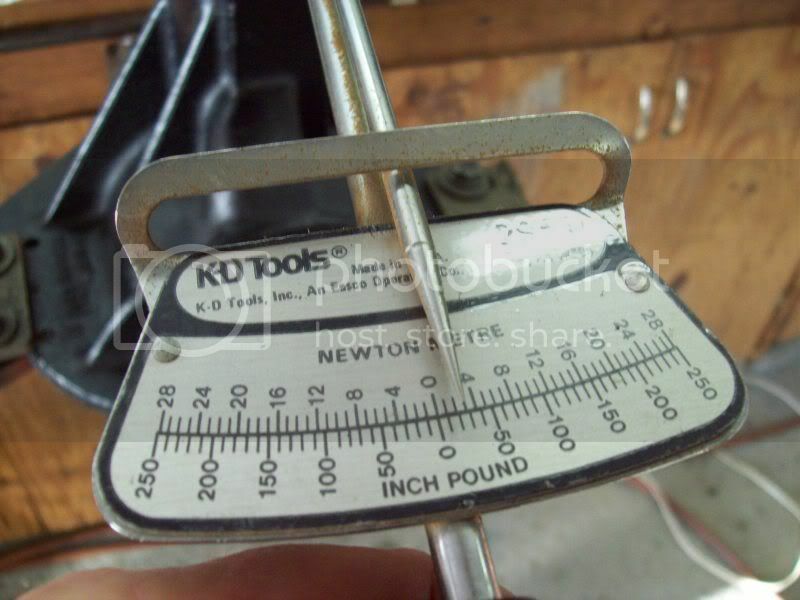 Years ago, I made my own pinion yoke holding tool from a piece of 1/2in steel plate. I cut it to shape with my die grinder and cutoff disc, drilled the holes and drilled for holes for each corner of the square hole to fit a 3/4in drive breaker bar into. I also drilled two holes for attachment of a very long handle which I made from a piece of steel rod. 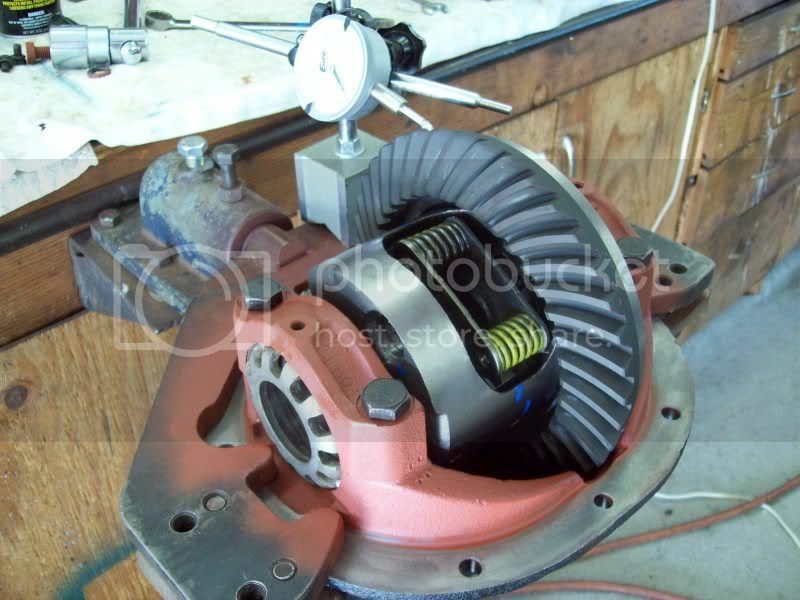 Now bolt the ring gear onto the posi unit and drive the new carrier bearings onto the posi unit. Place the bearing races on the bearings and set the entire assembly into the case. 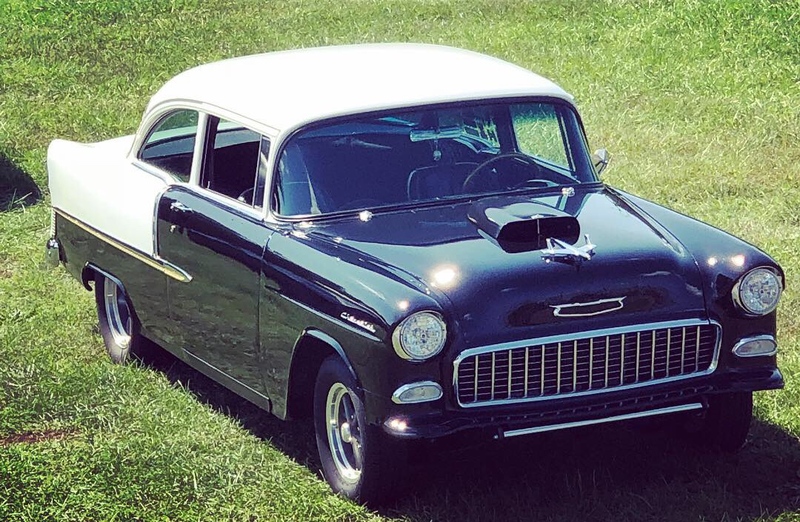 I’m not going into detail here because all of the information for assembly is in the 56 Chevy rearend manual located at the link at the beginning of this article. 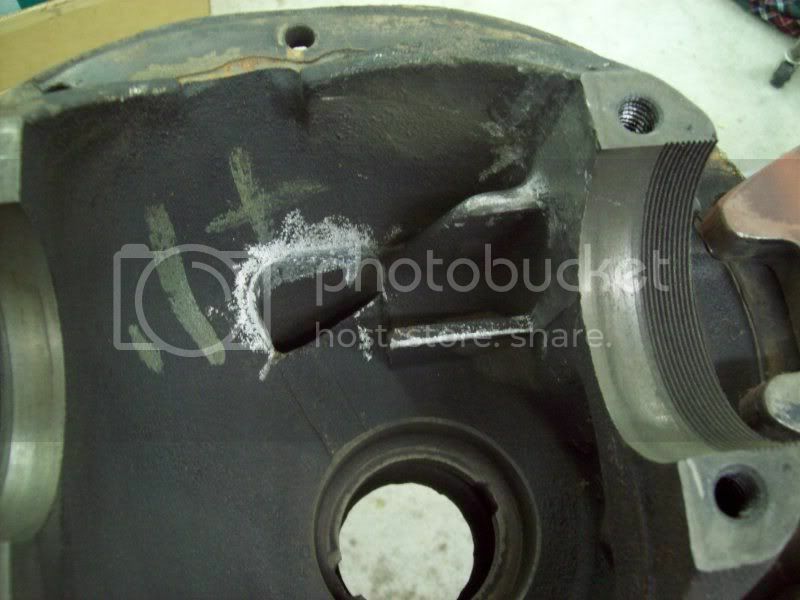 You can see from the next two pictures where the removed portion of the gusset has provided plenty of clearance for the posi unit. Also, notice the two punch marks on the case and the cap. I do this (failed to mention it much earlier) prior to disassembly so that there is no confusion which cap goes on which side. I make one punch mark on one side, two punch marks on the other side. Again, the 56 rearend manual is quite clear about how to set bearing preload and backlash. 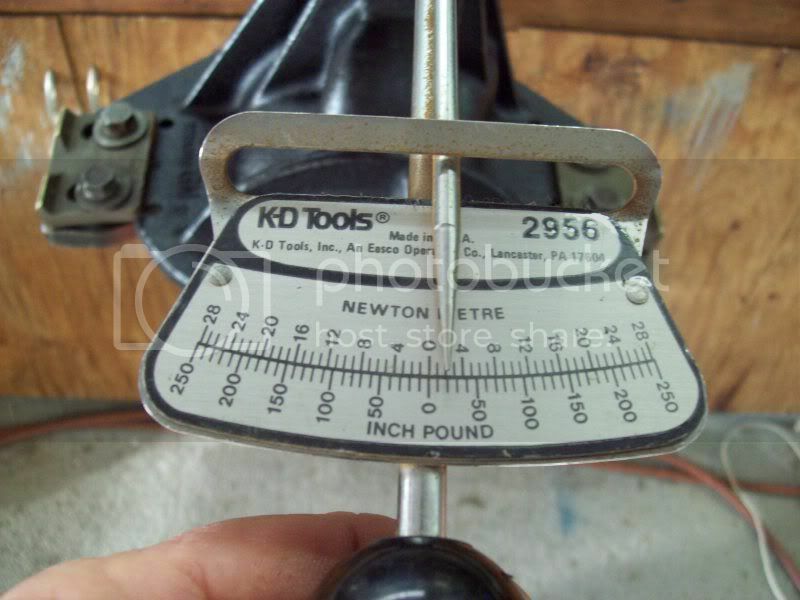 Here is my dial indicator showing .005in backlash in two different locations. The ideal range is .005-.008. Once the backlash and carrier bearing preload is established, I check the tooth contact pattern with white marking compound brushed on BOTH sides of 4-5 teeth. Also, the 56 rearend manual is quite clear about how to apply pressure on the gears to obtain a pattern. This pattern was ultimately achieved with a .031 pinion shim. This is NOT the most perfect pattern, but it was the most optimal I could achieve and the MOST desirable pattern is on the DRIVE side of the teeth, which is what I ended up with here. By changing to a thinner shim, to get the drive side pattern deeper, it makes toe coast pattern go further than desirable in the opposite direction. So, this is what I got. UNDERSTAND, YOU MAY NOT ALWAYS GET A PATTERN AS SHOWN IN THE ILLUSTRATIONS OF CONTACT PATTERNS. Thus, you just have to go with the BEST pattern that can be achieved. Also, with USED gears, this is the ONLY way to get an optimal pattern. 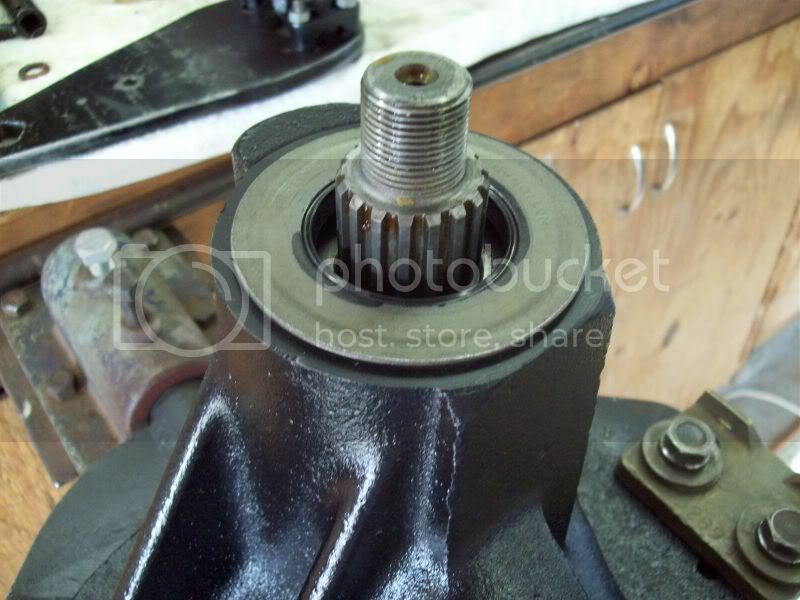 Of course, this may (and probably will) require tearing down the rear 2-3-4-5 times, pressing off and on the pinion bearing to change shims until you end up with an acceptable pattern. 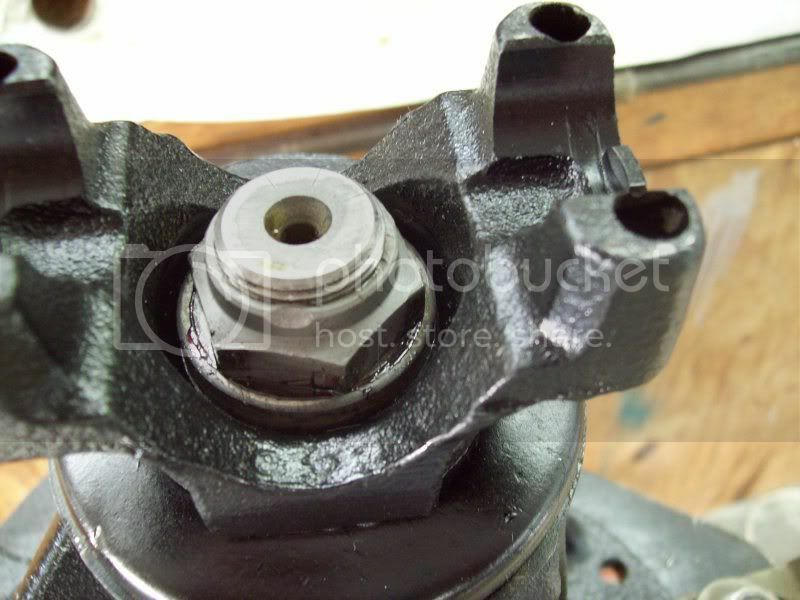 Once all adjustments and setup is complete, remove the nut, washer and yoke and install the new pinion seal. I like to use a VERY light coating of gasket sealer around the seal before carefully tapping it into the case. Before putting the yoke back on, I THOROUGHLY clean the splines of the pinion and yoke and paint gasket sealer in the splines of the yoke to seal against any oil leaking through the splines. Put the yoke back on, then the washer and nut. When I first setup the pinion with the new crush sleeve, BEFORE installing the new seal, I only tighten the nut to achieve about 20in/lb preload on the pinion bearings. Once the seal is installed and the yoke, washer and nut is finally installed, I also use gasket sealer on the washer and nut, then finish tightening the pinion nut to achieve the 25in/lbs specified in the rearend manual. Here is an additional picture that I didn't include in the original information. 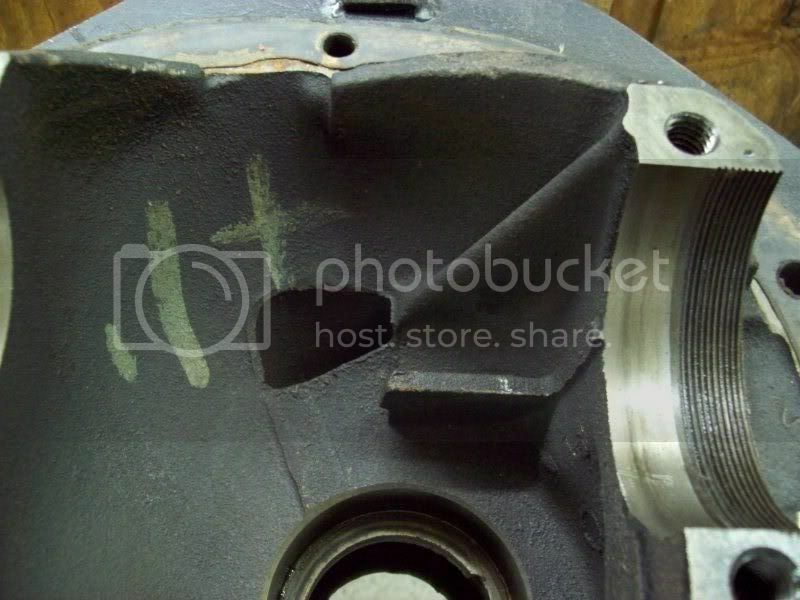 When rebuilding a FACTORY style posi unit (made for GM by DANA), it is VERY IMPORTANT to have the splines of the 2-piece axle gears lined up BEFORE pulling the 2 case halves to gether with the 8 bolts. It is TOOOOOOOO EASY to do! You need 2 axles to do this with, or the splined ends from 2 junk axles. 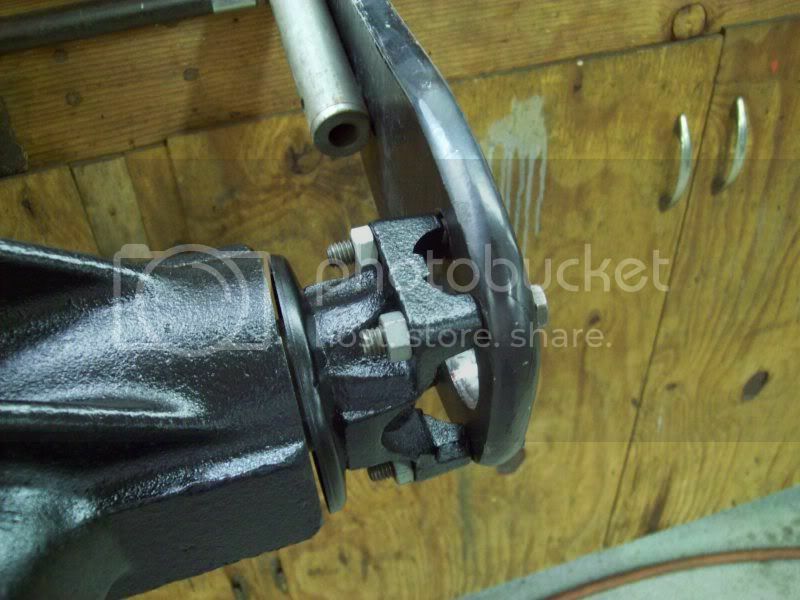 Insert each axle end ALLLLLLLL the way into both sides of the posi, assuring that they go all the way through BOTH of the 2-piece axle gears. 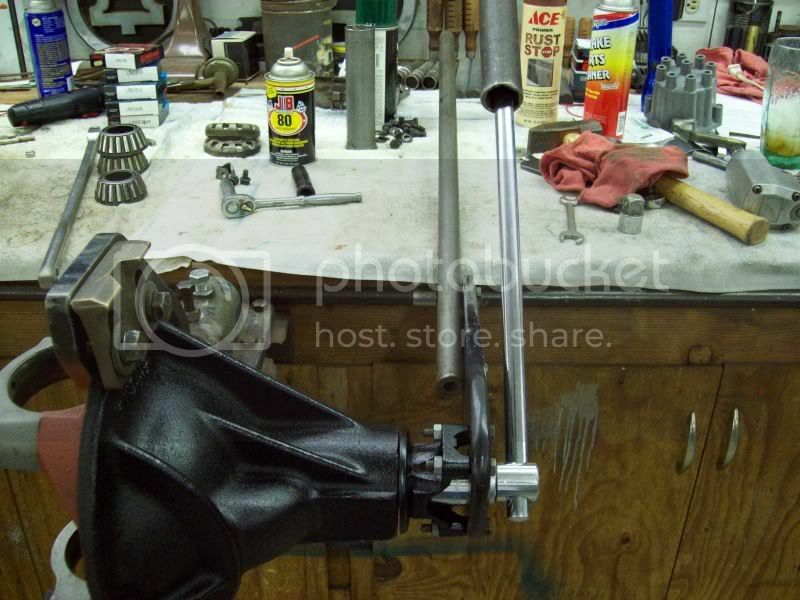 I place an axle in the vice, and then insert the end of a junk axle in the other side of the posi unit and start tightening the bolts, then torque them (45lbs). 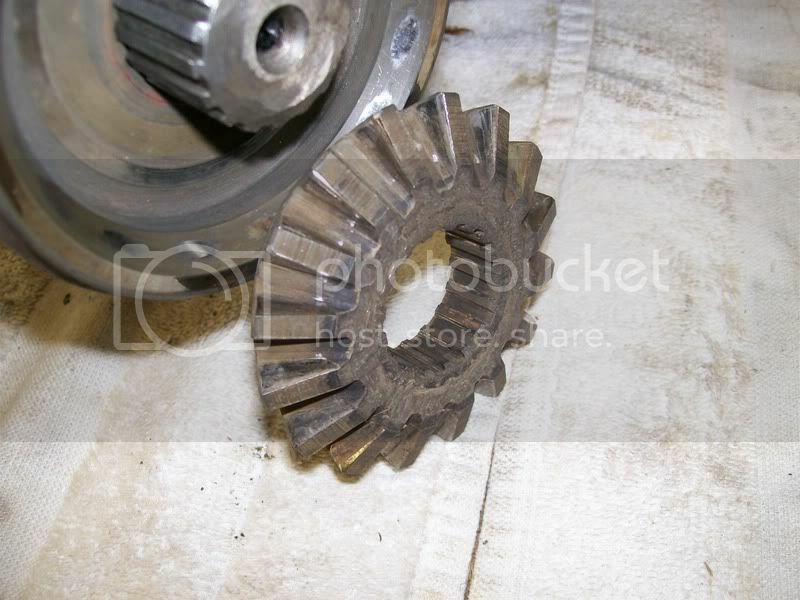 If the splines are not aligned when the posi is being reassembled, it may be VERY difficult to get the axles back into the axle housing because they cannot go into the splines of the second part of the axle gears. 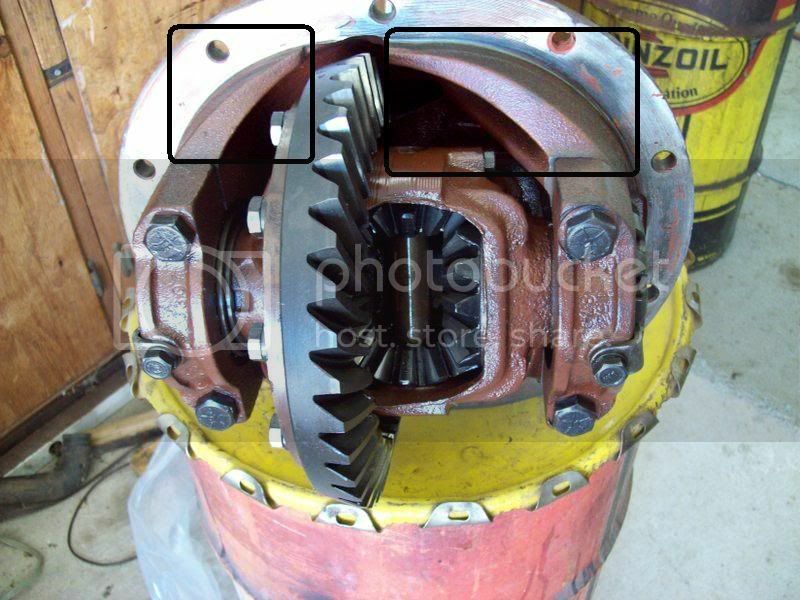 Here is what the 2 parts of the axle gears look like when the axle splines are inserted into both parts. Edited by Tony on 05-19-18 07:42 PM. Reason for edit: No reason given. I tried to download the rebuild manual you posted up front but I keep getting the requested document is not found at this server error. Am I doing something wrong ? This one worked for me, the one at the very top didn't. I have no clue why! That one worked. THANKS ! Thanks Tom great info as always. Do you have the specs on the rear axle tools? It would be great to be able to make up a set if I had the diameter I could turn up something on the lathe. 71 1/2 ton, 64 Chevelle SS, 57 2dr Hardtop, 57 2dr Sedan, 57 Corvette, 52 2dr Hardtop, 52 2dr Sedan, and now a 49 Plymouth Coupe, 1930 Model "A", 1934 Ford Truck, all Chevy powered of course. Nupe, that one I no got! Thanks Tom, I'll keep snooping around to see if I can find that spec info. If I find It I'll post it for all to see. Have a good Turkey day. Awesome Tom. What is the Eaton part# for this posi unit? I believe the Eaton number is 19686-010. BUT just in case that number doesn't work, all you need to order is an EATON posi unit for a 55-64 Chevy. There is only ONE, no mistake, no other options. Another DZ thread saved to my tech file, thanks Tom. Thanks Tom. If I had the money right now, I'd go with one of those Eaton posis. I just picked up a '57 rear axle with 3.55 gears from a low mile original car. Too bad it appears the car sat in a bog for most of its life. The ring gear is pitted pretty bad. If I were to install a new ring and pinion set, what brand would you recommend? It needs to be a 3.55 ratio. I hear of issues like noise with new gears sets and I'm wondering if there are any out there that are as good as or better than the original gears. I installed the Eaton posi in my 55 (57 third member), with a set of Yukon 3.55s and new Timken bearings and seals from Randy's Ring and Pinion. But, it's back in the shop due to excessive gear noise. 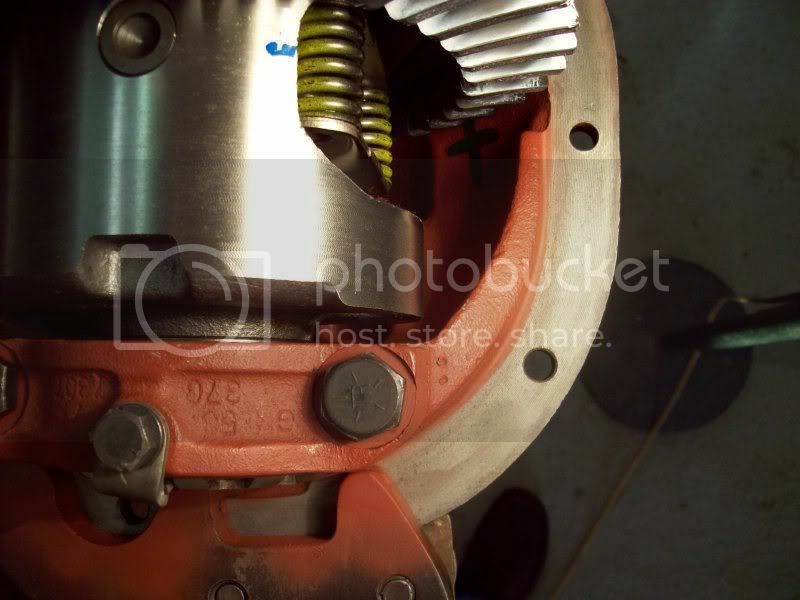 The guy is actually looking at it right now, he thinks he shimmed the pinion wrong. I gave this guy the guide to follow. Thanks for sharing it!! Edited by Mr. Sinister on 03-31-10 08:15 AM. Reason for edit: No reason given. 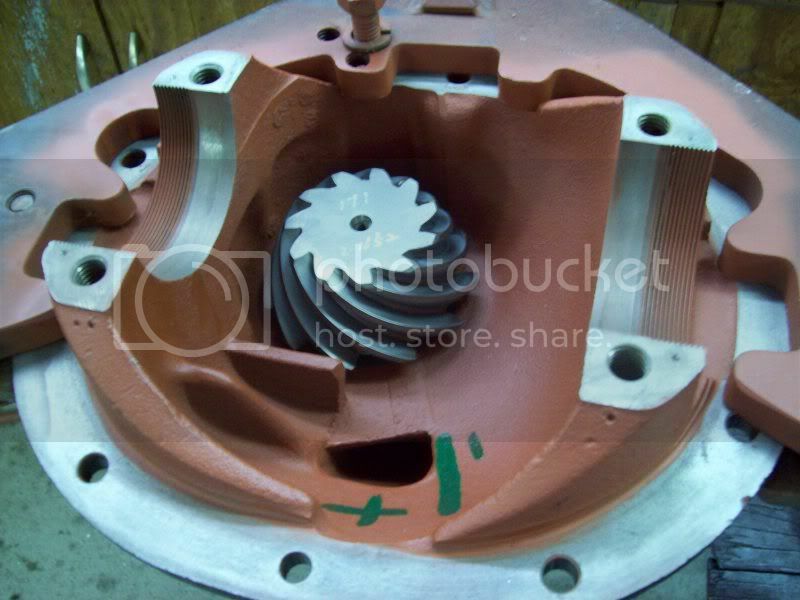 Differential housing casting # 3707806 -- what is that? Is that the '55/'56 version? when i reuse the pinion nut i always use green loctite on the last assembly. never had one to move. 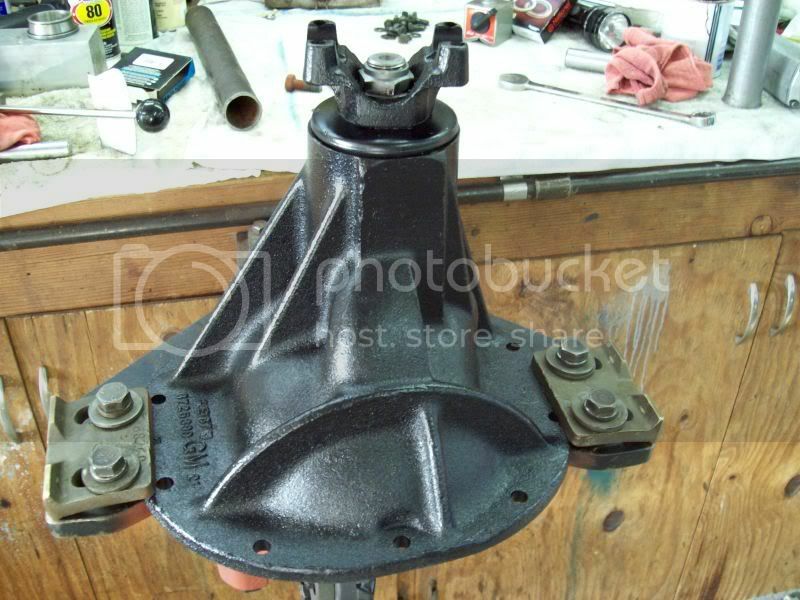 Does anyone know if a buick posi (63) can be put in a chevy housing (58-64)? I happen to have a buick posi and they are a lot heavier than a chevy unit. I know I'd have to change anxles as well, but does anyone know if it is possible? Anyone tired it? My question, is there a 3.08 gear for these diffs & does it need a different carrier? 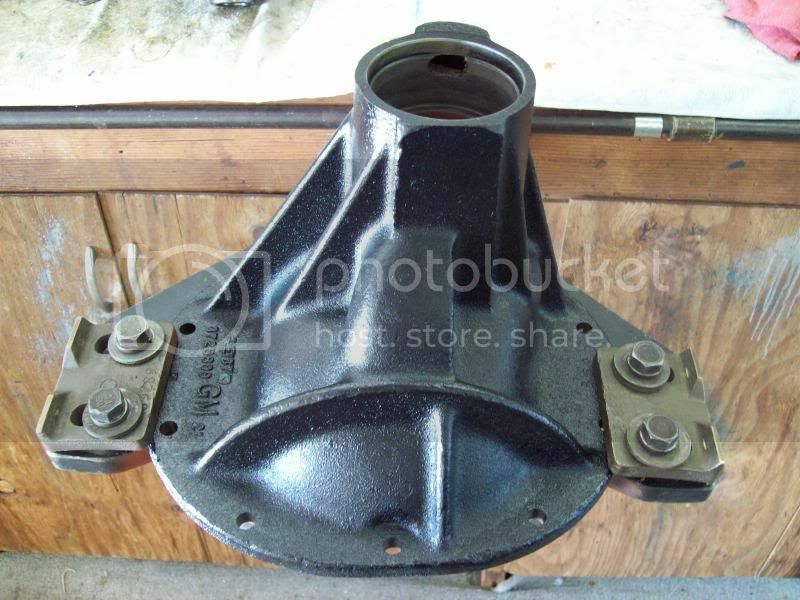 There are only TWO ring gear carriers for the 55-64 Chevy rears, 3-series (for 3.08 to 3.70) and 4-series (for 4.11 to 5.38). Nope, only the Chevy rears and Chevy parts will fit the Chevy housings. Tom, so a 3.08 rear gear will fit into a 3.73 gear carrier? Yes, but it's 3.70, not 3.73. 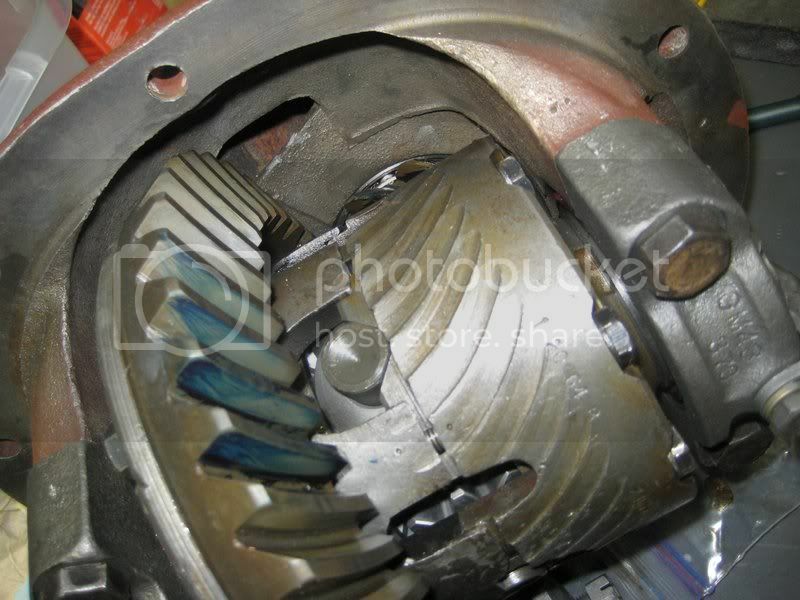 The Chevy 3-series gears were 3.08, 3.36, 3.55, 3.70. It's a 3.73 in my fjord explorer axle!!! Well, it turns out all my spider gears are pitted as well, as is also the carrier surfaces where these gears sit, so I guess I'll go with a new carrier -- an Eaton posi!! I just picked up a 3rd member kit containing Koyo bearings (made in Japan) that I was told were high-quality bearings. Is this true? Well, as bad as I hate to face the issue, here is my viewpoint on Jap bearings. Every see a failed bearing on a Honda, Toyota, Nissan, etc?